In the eighteenth century, British courts banished over 50,000 convicted men, women, and children to the empire’s North American colonies – the largest group of people forcibly removed from Europe to the New World in the century – and many of whom were sold as convict servants. In order to remove those considered undesirable, Britain institutionalized the transportation of criminals in 1718, and in the colonies, offenders typically served a term of servitude for seven or fourteen years. They arrived in a number of colonial ports, but the majority landed in Maryland or Virginia where labor shortages were high. Once convicts arrived, buyers commonly purchased them in auctions as servants. While offenders maintained a different legal status than other unfree laborers and were not subjected to the harsh racial prejudice experienced by African slaves, they shared similar material conditions with other bound servants and enslaved people. Many convicts endured harsh working environments in the colonies; poor food and clothing, disease, and maltreatment directly contributed to their difficult experiences there. Convicts labored with other unfree laborers, including indentured servants and African slaves, and they worked as house servants, artisans, unskilled workers, and field laborers during their term of service. 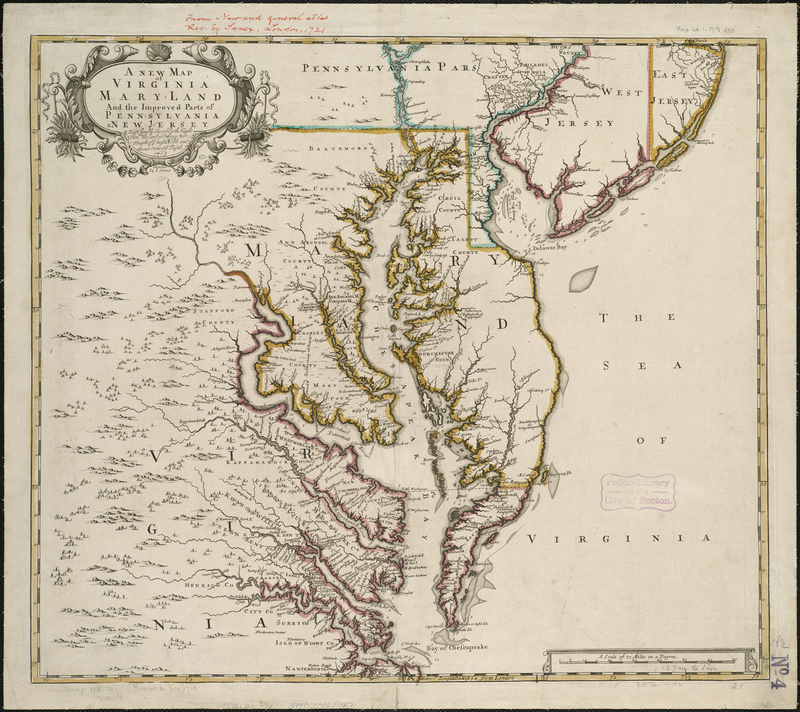 While the Chesapeake colonies experienced a growth in slavery during the eighteenth century, the convict trade also supplied the colonies with a source of labor as historians have shown. Contemporaries on both side of the Atlantic spent years contesting the economic efficiency of the trade and invoked moral reasoning and responsibilities to defend their positions on institutional banishment and servitude. In letters and published works circulating throughout the Atlantic, convicts and observers discussed the cruelties in penal servitude and described being treated like animals. For example, the young William Green received the sentence of transportation for his crime and arrived in Maryland in 1762. He explained that once he arrived, all the transportees were put in chains and “drove in lots like oxen or sheep” to be sold as convict servants. A number of prospective colonial buyers, he explained, “search us there as the dealers in horses do” (Green 1775: p. 6). The buyers examine their limbs and teeth to assess their health and ensure they will be able to perform the intended labor. This account encourages readers to visualize offenders’ animalization to draw sympathy for the offenders and to warn people against engaging in a life of crime. Animalization was not only used by convicts, but it was also used by colonial observers who wished to end the trade. For years, American colonists worried about convicts’ moral character and their potential for recidivism. In 1751, Benjamin Franklin famously proposed that, “Rattle-Snakes seem the most suitable Returns for the Human Serpents sent us by our Mother Country.” (Benjamin Franklin, The Pennsylvania Gazette, 1751). Although historian Roger Ekirch argues that the proportion of convicts who were charged with illegal acts was probably quite small, concerned colonists distanced themselves from these penal laborers by animalizing them and drawing attention to their lack of humanness. The accounts also draw attention to notions of bodily integrity, focusing on tears and bodily torments when describing penal servitude. Green was “stripped” of his clothes and given “lousy rags” in its stead. He “cried aloud, and wept” but he “had no fond mother to comfort” him or “friends to pity” him. Green linked his bodily torments to his local attachments in order to have readers visualize and empathize with his “scene of misery” (Green 1775: p. 6). Some offenders escaped from jail or made it back to England before their sentence expired, and if they were caught, the court could penalize them with capital punishment. As the Old Bailey Court records online show, when offenders faced capital punishment, the Ordinary of Newgate prison – the prison chaplain – reported malefactors’ sorrows and noted their remorseful weeping for evading their punishment. These accounts served a moral purpose by showing the consequences of succumbing to sin and a life a crime, and tears implied regret and moral failings. Accounts regarding convict transportation show the physical and emotional context of what offenders articulated as their suffering, and they sometimes suggested that the punishment was worse than staying alive. According to one Ordinary account, when John Read received an execution sentence in 1770 for returning from transportation, he was grateful; he declared that he preferred death to transportation and no one could understand how miserable the punishment was besides fellow transportees. Read reported that he had planned to hang himself if he could not escape from what he called a form of slavery. In a striking example from 1768, one offender worried about working as a servant in the Caribbean and petitioned for a death sentence rather than transportation. He stated that he preferred to hang, which would only last a minute, rather than to cultivate sugar for the rest of his days. The British convict trade to America came to an end with the American Revolution, but the story did not end in 1776, nor was it a purely transatlantic story. In the following decade, the British Parliament decided that Botany Bay in Australia, would put offenders far enough away that they could never return and that, perhaps, they could establish new lives there. As the growing scholarship, including the work done for the Carceral Archipelago project, shows, convict servitude was not just a problem in Anglo-American culture; penal labor throughout space and time reveals the complicated ways imperial states engaged in state-building and competing visions of moral and political authority. Throughout the eighteenth-century Atlantic World, metropolitan readers increasingly critiqued harsh punishments for unfree people. The accounts regarding the convict trade and servitude gives us cause for further reflection on how this form of labor evoked new sensibilities and assertions of moral responsibility that shaped the formative stage of humanitarianism. They became an important part of transatlantic conversations and raised new questions about cruelty, morality, and unfreedom. Many Britons and Americans regarded convicts as lowly and corrupted people, but with the growing number of accounts of transportation’s harsh reputation as the eighteenth century progressed, a number of Anglo-Americans began to question the efficacy and justice of this punishment for all convicts, adding moral and humanitarian justifications to support their reformist critiques. Historians like Thomas Laqueur and Lynn Hunt have made it clear that eighteenth-century contemporaries created unprecedented ways to understand the human condition, and many scholars have used the anti-slavery campaign as the launching pad to understand the emergence of humanitarian thinking and rhetoric. Historians are right to stress the importance of abolitionist writings in this revolution of sensibilities; however, this important movement alone did not singly influence the wider movement of humanitarianism and human rights. When looking to other forms of coerced labor, such as penal servitude, a broader narrative emerges that reveals important ways that complex social, cultural, and economic developments gave rise to new understandings of pain, benevolence, and morality in the modern world. Beattie, J.M. Policing and Punishment in London 1660-1750: Urban Crime and the Limits of Terror (Oxford: Oxford University Press, 2001). Ekirch, A. Roger. Bound for America: The Transportation of British Convicts to the Colonies, 1718-1775 (Oxford: Clarendon Press, 1987). Green, William. The Sufferings of William Green (Whitechapel, London: J. London, 1775). The Old Bailey Proceedings Online (1674-1913), edited by Tim Hitchcock, Robert Shoemaker, Clive Emsley et al, 24 March 2012, www.oldbaileyonline.org [1 August 2017]. Morgan, Gwenda and Rushton, Peter. Eighteenth-Century Criminal Transportation: The Formation of the Criminal Atlantic (New York: Palgrave Macmillan, 2004). Hunt, Lynn A. Inventing Human Rights: A History(New York: W.W. Norton & Co., 2007). Laqueur, Thomas W. 'Mourning, Pity, and the Work of Narrative in the Making of 'Humanity.'' In Humanitarianism and Suffering: The Mobilization of Empathy, edited by R. A. Wilson and R. D. Brown (Cambridge: Cambridge University Press, 2009): 31-57. Nicole Dressler is a Ph.D. candidate in Northern Illinois University's History Department specializing in early America and the Atlantic World. Her dissertation explores the role that British convict transportation and penal servitude in America played in the early history of humanitarianism, arguing that emerging ideas of punishment, morality, and unfreedom evoked by convict labor created new moral responsibilities and inspired denunciations of suffering in the eighteenth- and early nineteenth-century Anglo-American world. She is a recipient of dissertation fellowships from the Library Company of Philadelphia (2016-2017), the American Philosophical Society (2017), and the McNeil Center for Early American Studies (2017-2018). She participated in the Global Humanitarianism Research Academy 2017. Citation: Nicole Dressler. ‘Maryland, 1718: Humanitarian Sentiment and the British Convict Trade to the American Colonies’, in Online Atlas on the History of Humanitarianism and Human Rights, edited by Fabian Klose, Marc Palen, Johannes Paulmann, and Andrew Thompson, 2017-10, urn:nbn:de:0159-2018012346 [2019-04-26].